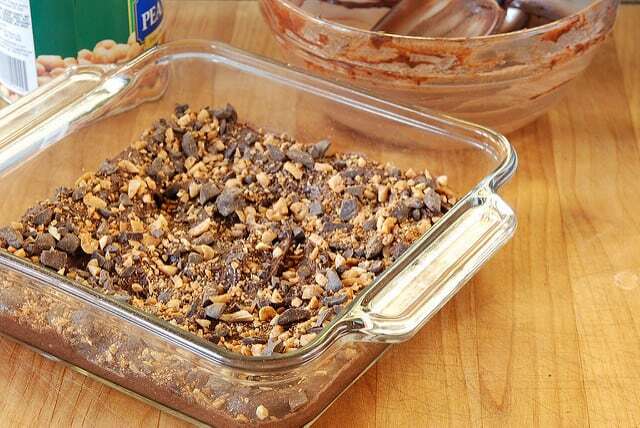 The next time you have an emergency and need a quick dessert, try Faster-Than-a-Mix Emergency Brownies. In less time than it takes to stir up a mix and bake a dessert, you can fill your kitchen with the chocolaty aroma of from-scratch, fudge-y brownies. Mix the batter. Pop in the microwave. Start to finish in less than 15 minutes. While this isn’t gourmet stuff (translated–not so rich that one bite will put you out of commission for the rest of the day), I promise it will satisfy any sugar cravings pronto. The original recipe came with directions to “cut when cold”. Good luck with that one. Be careful not to burn your fingers because you’ll want to dig in immediately. Clean-up: How long does it take to wash 2 bowls, beaters and measuring spoons? Watch closely the first time you make these brownies as each microwave oven cooks slightly differently. Once you figure out the perfect time for your oven, you can set the timer and walk away. Nothing low-calorie about this recipe. However, I find that knowing I can make a sweet goodie this fast from ingredients I always keep in my pantry means I don’t have to keep cookies around the house for unexpected occasions. No reason to buy those oreos “just in case”. Oreos are bad about calling out to me every time I walk past them in the kitchen. Can you relate? 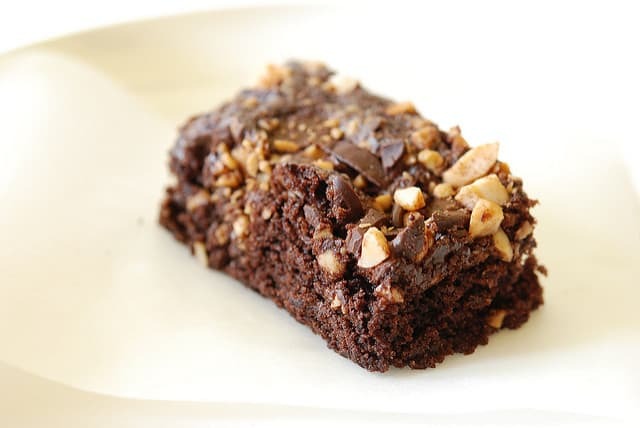 These brownies are so quick and easy, you will no longer need to keep tempting cookies in the pantry for unexpected company. 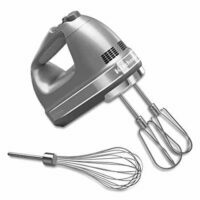 Blend eggs, sugar, salt and vanilla with a mixer (hand mixer works fine) about 1 minute until light. Add melted butter and keep beating. Mix in flour and cocoa at low speed just until the flour disappears. Combine ingredients for topping in a small ball. Either stir the topping into the batter now or sprinkle on top after batter is put in baking dish. I like to sprinkle it on top. Looks fancy. 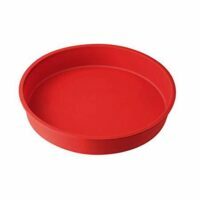 Spread into 8" square or round glass oven-safe dish arranging batter with the spatula to be somewhat thicker around the edges and corners than in the middle. Helps to even out the baking. Microwave on HIGH for (5 1/2) - 7 minutes. When done, top looks dry and springs back when lightly touched. 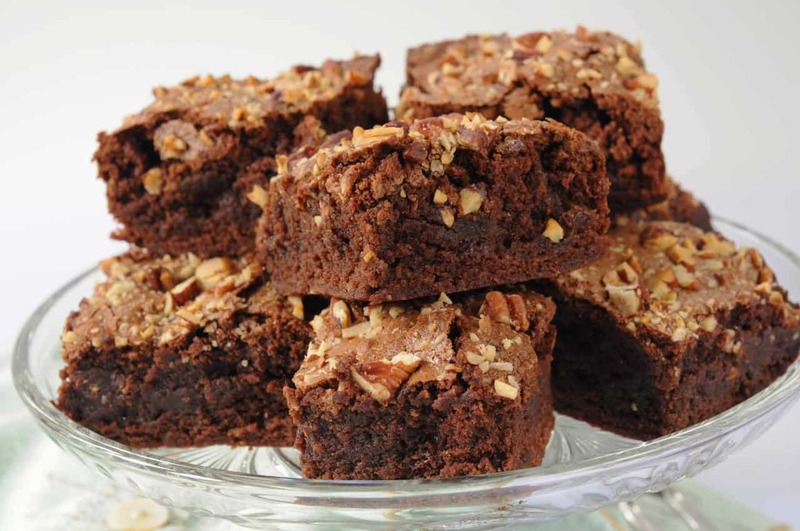 If brownie is chewy, it's overcooked. Cut back the time. Food cooked in a microwave continues to cook for a minute or two after removed from the oven. See, once I have some cookies in the pantry I don’t necessarily eat them but knowing they are there keeps me from buying cookies or pastries. For the same reason, I keep cake mix boxes in my pantry as well. Though I haven’t used one in 8 months or so, knowing they are there keeps me from buying a cake. I never thought that something so tasty and beautiful could come from the microwave. Thanks for opening my mind to such a new concept! Great recipe for my college daughter, since a microwave is the only cooking appliance allowed in the dorms.